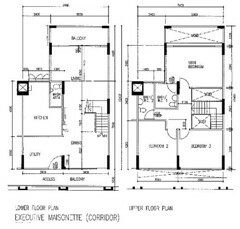 Recently, I have been browsing forums on renovations, looking for floor plans of different hdb flats (just out of curiosity). In the process, I stumbled over a forumer who is getting married next year, and who is actively looking for a hdb flat now. Somehow, her total tally of how much they need to save for a house down-payment, renovations, car, wedding dinner, wedding gown package, wedding bands, honeymoon, etc came up to a grand total of $128k! In short, they have to save up $63k each, in a year. My first reaction was – that’s nuts! The couple’s eligible for a HDB housing grant, so they definitely make less than $8000/mth. Assuming their budget is over exaggerated, cutting it in half is still $63k. On a $8k salary, they would only take home $83.2k after CPF. If they make less than $8k, that amount drops drastically. At that rate, how can they get married next year? Like that how? No wonder many young couples feel that the dream of marriage is expensive, and many ROM first, and save up for their wedding years after. Or others take loans, maybe ready credit, maybe they max their credit cards, sign up for 0% installment plans for their honeymoon, and take out renovation loans to make over their big dream hdb flats. In short, in the pursuit of their dream marriage, they get horribly in debt. Surely there is another way? Don’t over commit. Yes, your dream home might be an Executive Maisonette. But for a young couple buying their first home, is it really practical to get one? – For one, your down-payment will be huge compared to that of a 3 or 4 room flat ($40-75k versus $20-30k). – Also the tendency of human nature is to ‘fill up space’. If you buy a house with 4 rooms, you will definitely end up furnishing all 4 rooms whether you have any need for them at the moment. Each room could cost you thousands to furnish. – Big flats also comes with higher property taxes, and when “ang pows” like gst offset packages are given out, you get a lot less, even though as a young couple, you could really use the extra cash. – Maintaining a big flat costs more. Your Town Council conservancy fees would also be more expensive. – Big flats take more time to clean too! Are you ready for a car commitment? The moment you drive a new car out of the shop, it instantly loses some value. In the initial years of a car, it’s value drops rapidly, and in some cases, the depreciation amount is more than your yearly car payments (and insurance coverage in the event it totals). If you need to take out a 10 year loan to get a car, consider doing without one now. Remember that a car is a liability, and not an asset, unless having a car assists you in getting more income. If you really need one, consider getting a 2nd hand one – a 2 or 3 year old car is considerably cheaper than a brand new one, and is not yet that old and wasted. 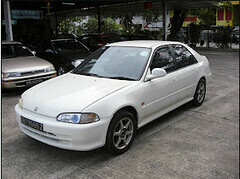 What’s more, it’s already bore the brunt of depreciation. Check out sgcarmart.com to see how much you can save! And of course, if you really just need something to get you from pt A to pt B, do you know you can get a 2-3 year old Cherry QQ or a old Honda civic for under $10k? And like a house, the smaller your car, the lesser road tax and insurance you pay each year. This is a pretty tricky topic to deal with, as most brides-to-be have dreamt of their wedding since they were kids! So with that, I’ll just offer this tip: There are always cheaper packages available than those that they first pitch to you. Let them know your budget and those packages will miraculously appear, and yes you can still bargain on the prices! Also, do note that when choosing big bridal chains, there will be an additional 7% GST charge. 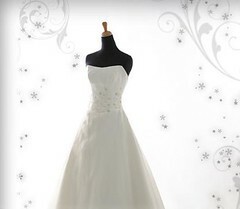 Go for smaller bridal shops to avoid this additional charge! When you look for a flat, pay special attention to the flooring. It would be best if you find a flat you love, whose floor you love too. 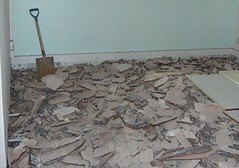 Hacking away an existing floor and re-tiling it is one of the most expensive parts of your renovation costs, and can cost up to 50% or more of your total bill! Remember that a $60k renovation will not add a value of $60k to your flat when you do sell it in future. Renovations seldom add much monetary value to a flat’s price, as taste is subjective. The in thing these days is to go to an interior designer, and have lots of built-in wardrobes and/or to hack walls to combine existing rooms. Do note that when you do try to sell your flat in future, not everybody might share the same tastes as you concerning your built-in wardrobes, and if your wardrobes were not of high quality, they might wear out easily and instead of adding value to your flat, it might be a negative point, as buyers would have to pay to hack it when they move in. Also, if you hack a wall and lose a room, do note that you’ll limit your pool of buyers in future too. 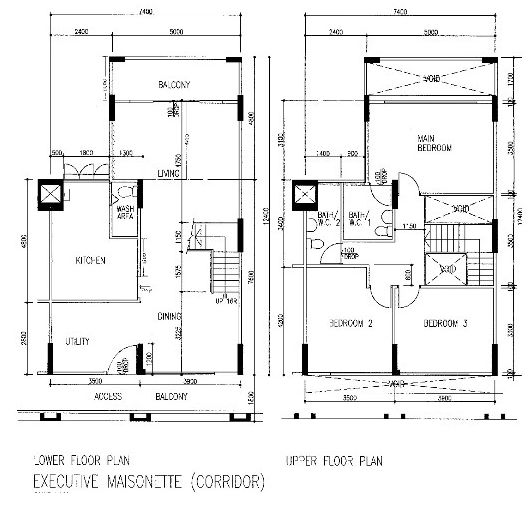 If you already know what you want, go direct to a contractor, and bypass the middle person (the interior designer). You’ll save money in a lot of ways, as contractors aren’t salesmen – they will not push you to get more than you need. Instead, they often cater to your needs and budget. On average, we live in 7 different houses in our lifetime. You can shift furniture with you, but not your renovations. Remember that as you plan for your renovations of your new home, as you may have lots more to renovate in future! I used to go to Ikea with my JC friends, and one of them often would coo “Ikea gives me hope for the future“, as their suggestive layouts make you want to put that showroom into your room! 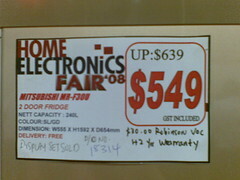 As the years passed, I started to realize that Ikea isn’t as cheap and affordable as I thought. In the end, instead of spending $800 on a ikea wardrobe, we got a whole bedroom set (bedframe, side table, wardrobe, dressing table) for a mere $699. They both laminated compressed wood and aren’t build to last forever, and we probably won’t take them with us when we move as dismantled furniture become creaky and weak when reassembled. While we have shopped at Ikea for some of our items, we found most of our items outside, and are quite satisfied with them. 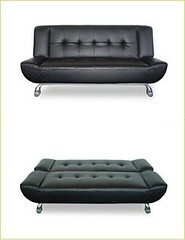 An example of a great buy is our sofa bed. We were looking for one that didn’t look like a sofa bed. Ikea didn’t have nice ones and they were all so expensive too. We stumbled across one at Kallang Leisure Park that looked like a sofa, but converted into a bed! And at $299 it was a steal. As for home appliances, shop around and note the models that you like. Then check out this article: “How to enjoy 36% discounts off big ticket household items“. Dream big, start small. Marriage is the first step towards a new life together with your significant other. Try starting your new journey without the added stress of paying off huge debts! Enjoy each other’s company, and bask in the little joys in life. What should I do with the $10,000 in my pocket? This entry was posted on Friday, February 20th, 2009 at 1:08 am and is filed under Money Saving Tips, Singapore Watch ver 2.0. You can follow any responses to this entry through the RSS 2.0 feed. You can leave a response, or trackback from your own site. Just read thru this and found that what you had written is very practical especially in Singapore today. People often have dreams and thou it is good to have them, not everyone can make their dream true especially an average Singaporean. Worst some try to seek a dream much bigger than what they can really achieve and that not only cause alot of stress but eventually family issues as well. Like you mention “Dream Big, Start Small”. Take 1 step at a time and things should be fine. No matter if it takes 5 years or 10 years as long as you can reach your dream in a safe manner I think it is fine.